Locals in Breckenridge and the Summit County area move here for the lifestyle. Much of that lifestyle involves getting outside and on the trails. Whether it is hiking, biking, or the rare encounter with the wildlife, there is a courtesy guide everyone should follow when enjoying these trails. Hikers – Step to the side when possible to do so. Hikers, try and step aside when a biker is behind / in front of you. Some bikers on trails clip-in to their pedals, this makes it much easier for a hiker to stand to the side and let the bikers pass. With the lush forestry in this area, some bikers are unable to navigate anywhere but the trail making it easiest for the hiker to step to the side. Bikers – Speak up when coming up on hikers! Though bikers might be going much faster than hikers, it can be difficult for hikers to hear a biker from far away. Make sure to alert with “on your left” or “coming down” to let hikers know of your existence. Out of courtesy for hikers, slow down. Anyone who loves to mountain bikes loves the adrenaline of going fast through the trees however, for safety reasons, when passing a hiker, it is best to slow down. Horses are not very common to see in Breckenridge however; the rare encounter does happen. Not all horses are friendly, and some can be hard to stop so do not try to go up and pet the horses unless invited to do so. *** Please note that Bikers must yield to hikers and horses and uphill traffic has the right of way! There is a large number of wildlife in Breckenridge. This wildlife includes foxes, chipmunks, deer, elk, Moose, bears, and even the occasional mountain lion. Though it is uncommon to come across some of the more dangerous wildlife, it is recommended to not feed any wildlife. Please also keep a safe distance from the wildlife. Though some of these critters are used to people, they are still wild, and we can never predict what they might do. For the safety of yourself and others, keep a respectable distance. For more information on wildlife in Breckenridge click here! One known saying in Breckenridge is “if you pack it in, pack it out”. There is nothing that irks locals more than seeing a trashed campsite or trail. If you bring food on your hike or biking trip, please make sure to take it out with you. One of the easiest ways to keep track of trash is to bring a backpack that allows you to store it until you see a trash can, typically located at the trail head. 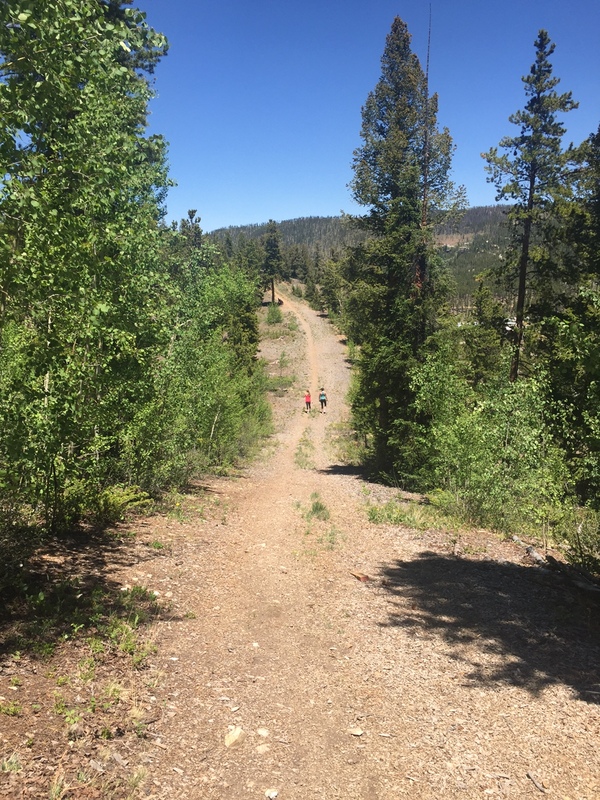 The locals of Breckenridge and summit county view the trails as their own backyard. If you are visiting Breckenridge this summer, make sure to consider the environment and others before heading out and enjoy the beauty that makes Breckenridge a year round vacation destination! Can anyone else believe it’s already July? That can only mean one thing: The Fourth of July is upon us! Check out this event-filled weekend with our weekend schedule below! *For a list of activities going on for the fourth of July click here! The Breckenridge Summer Fun Park is Open! Summer is back in Breckenridge! With summer in Colorado’s High Country comes an explosion of outdoor activities that make Breckenridge one of the premier summer destinations in the Rocky Mountains. One of the most popular activities is the Peak 8 Summer Fun Park. The Peak 8 Summer Fun Park offers activities for the whole family including mountain biking, zip lining, roller coasters, climbing walls, tons of activities for children and so much more. If you are coming to Breckenridge this summer, make sure to add the Summer Fun Park to your vacation plans! Here is a quick guide to all of the activities offered at the Peak 8 Summer Fun Park. Go off-road and check out the Breckenridge Ski Resort on a Segway. Zoom around with a friendly guide on an hour and 50-minute tour while discussing local history. Come experience the Breck Flyer Zipline, a two stage zip line combining over 1,400 feet of high speed aerial fun! Mix incredible views and exhilarating speed 50 feet over the ski slopes! Too small for the big zip line? Don’t worry, Breck has a zip line for the kids, too! A super fun downhill tubing experience for kids. Tubing is not just for winter anymore! 2,500 feet of track await you as you scream down the Gold Runner Coaster at top speeds. Race through the forest by yourself or with a friend and don’t worry; if it is too fast, you have brakes! This is the “old standard” of the Peak 8 Fun Park. Consisting of three tracks, each 2,600 feet long, cruise down and race your friends as tracks 1 and 2 are side by side and identical. Take a ride in an open air 4×4 vehicle. Explore Peaks 8 and 7 and take in beautiful views of the Ten Mile Range and the back side of the Front Range. It’s not all for the little kids! Get a mountain bike and take a chairlift to the top of Peak 8 for an exhilarating ride down Breckenridge’s Mountain Bike Trails. From easy to expert, there are trails for all ability levels. Mini Golf is the perfect family game. Included in the Fun Park pass, see who has the most skill! Take a scenic chairlift ride. The Colorado Super Chair runs up to over 11,000 feet in elevation and offers stunning mountain views. Ride back down or hike through Breckenridge’s pristine pine forests and aspen glades. Great for kids, pan for gems and keep what you find! Try to beat the clock in Colorado’s largest human maze. Kids win prizes when they are faster than the clock. Test your skills on the rock climbing walls at the Peak 8 Fun Park. A great family activity, there are walls for all abilities. Fly high on the SuperBungee Trampoline. Twist and flip as you gain even more altitude bouncing along. This safe and exciting trampoline is great for kids and adults. Kids love bouncy castles! Do we need to say anything more?! 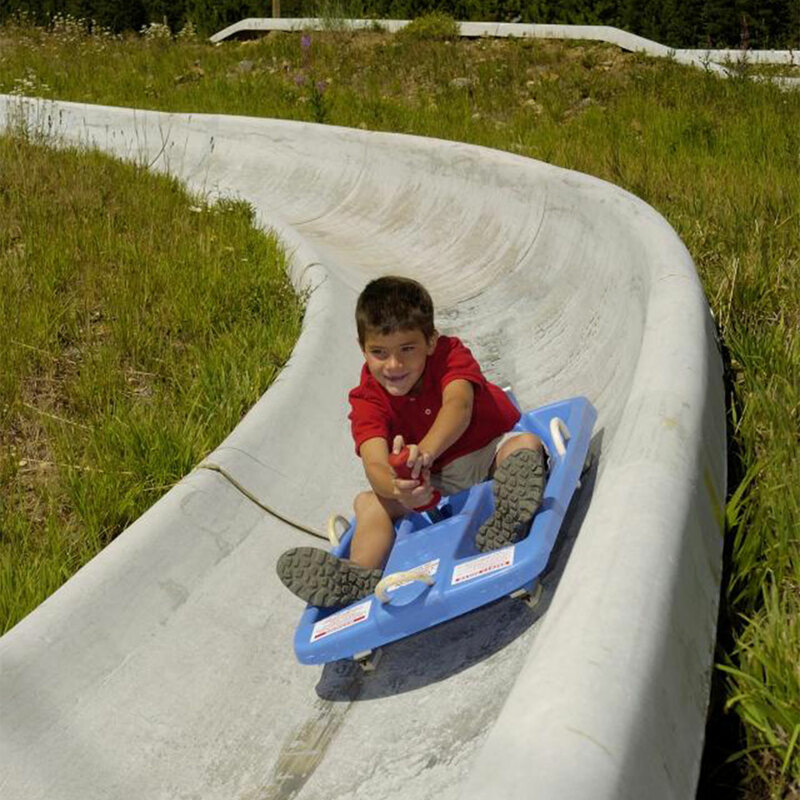 Spend a day at the Breckenridge Summer Fun Park. You will not be disappointed. https://www.bestofbreck.com/wp-content/uploads/2015/06/Tueday-June-30-2015.jpg 1500 1500 Mark Grattan https://www.bestofbreck.com/wp-content/uploads/2015/08/logo-332x156.png Mark Grattan2016-06-24 20:04:192016-07-06 19:06:32The Breckenridge Summer Fun Park is Open! Celebrate Independence Day with us in the High Country! 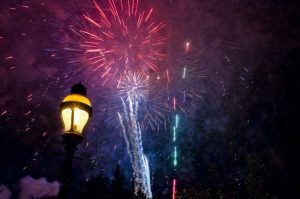 There will be a ton of activities going on including the Independence Day 10k Trail Run, The Firecracker 50 Mountain Bike Race, Fourth of July Garden Party, the Main Street Parade, Kids Water Fight, the Street Arts Festival, and of course – fireworks! 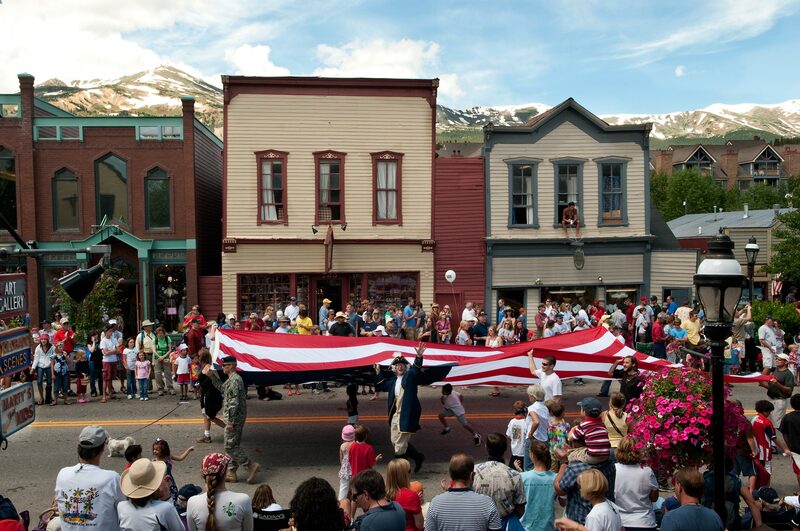 This mountain bike race launches the 4th of July Parade in Breckenridge! Cheer on riders as they embark on a 50-mile stretch through Breckenridge and surrounding areas. Or, register for the race here! This event sells out very fast so register today! Join us at the Barney Ford House Museum for the Annual Breckenridge Heritage Alliance Garden Party. Enjoy coffee, mimosas, and breakfast as you check out the parade in style from the best view on Main Street. Adults – $50 ($75 day of), Children 6-12 $30, and Children 5 & under $10. Call 970.453.9767 x 2 for more information. This kicks off with the Firecracker 50 Mountain Bike Race as 800+ bikers ride down Main Street. Then there will be a Red, White, and Blue Color Guard at 10 am, followed by the parade itself. Parade info. Call 970.453.5055 for more information. Kids can join the Fire Department in a water fight on Main Street. This one is a hit every year – don’t miss it! This Street Arts Festival is going on all weekend. It is a celebration of street, pavement, and graffiti arts that feature chalk drawing, 3D murals, live music and hands-on workshops. Presented by Breckenridge Creative Arts. These guys are a world famous music machine. They are known for their genre-bending romps and high octane performances. The Dirty Dozen have been featured guests on albums by artists including David Bowie, Widespread Panic, Dr. John, Elvis Costello, Dave Matthews Band, Modest Mouse and the Black Crowes. 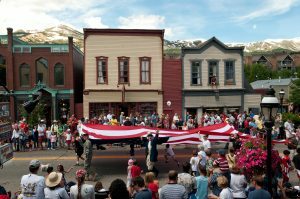 For almost 20 years, the Town of Breckenridge and National Repertory Orchestra have worked together to present you with a patriotic Concert every 4th of July. The most iconic part of the 4th of July – Fireworks! They will be set off in the North Gondola Lot, but will be visible from all over town. The 33rd Annual Breckenridge July Art Festival is ranked one of the top art shows in the United States each year. It will be located at Main Street Station which is at the corner of Main Street and South Park Avenue. For more information, please click here. Admission is free. 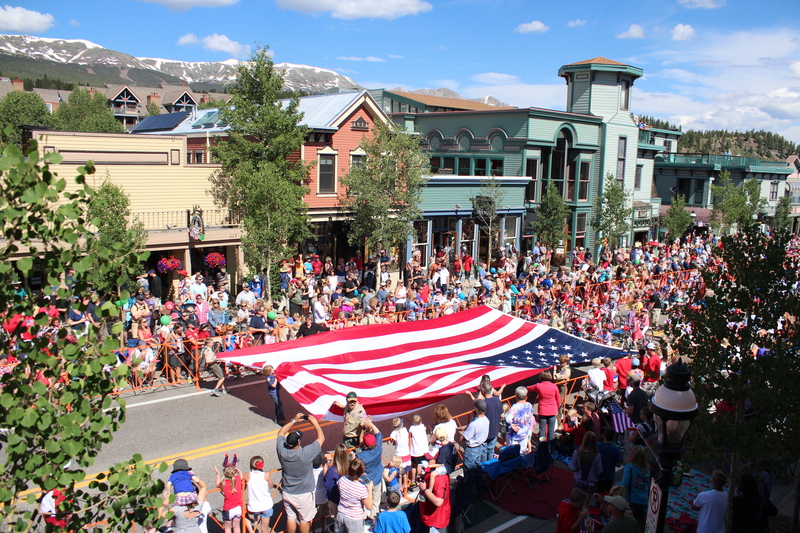 We hope you celebrate Independence Day with us in Breckenridge! Visit GoBreck for more information about the festivities! Check out this video from a few years ago to see what the parade is all about! Click below to get a great deal on lodging- stay for as low as $75 per night at Beaver Run! To check out our other lodging promotions, click here! Do you like the mountains? Do you like having fun? Do you like saving money? If you answered ‘yes’ to any of those questions, you’d better book your lodging at Beaver Run by June 30th for dates on stays through October 31st. 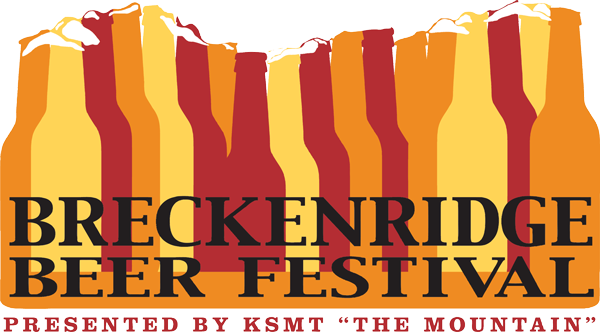 Reserve your trip for the weekend of the 11th Annual Breckenridge Summer Beer Festival on July 8th and 9th, and receive a $50 gift card towards your Summer Beer Fest admission. What’s so great about staying at Beaver Run? HUGE SAVINGS: With our current special, you can book up to three nights at Beaver Run for $75 per night. With rooms in town usually ranging from $150-$350 per night and up, the lodging discounts with this deal are pretty substantial. Throw in $50 towards Beer Fest admissions on stays booked through this deal over the weekend of June 8th, and you’re all set for a day of unlimited beer tasting from more than 50 breweries, delicious food, exclusive retail vendors, live music and incredible fun. Already have Summer Beer Fest tickets? Don’t worry; the $50 gift card can be used anywhere in town, not just for admission. PRIME LOCATION: In Breckenridge, parking is extremely limited, taxis are pretty expensive and at almost two miles above sea level, consuming even one drink before driving is just not an option. So, why not avoid the hassle and WALK to and from town?! Beaver Run is situated a block or two from the south end of Main Street, an easy walk from the bars, restaurants, arts district and festivals. Get some fresh air and take a five-minute stroll down to Maggie Pond or roam around the shops and seasonal outdoor market in The Village. For those that would prefer to ride to town, the resort has you covered with their complimentary shuttles. Beaver Run features slopeside lodging right at the base of Peak 9, so you can hike, bike and play just steps from your door! AMENITIES: Maximize your vacation with amenities that include luxurious pools and hot tubs, on site dining at multiple restaurants, an arcade, exercise rooms, tennis courts, complimentary Wi-Fi, concierge services much more! Pamper yourself at their spa with awesome deals on massages, skin care, body treatments and other services. Beaver Run’s activities desk will hook you up with the best vendors and packages on excursions like golf, jeep tours, biking, fishing, hot air balloon rides, boating and even more! So, what are you waiting for? You’ve got until June 30th to book your dates, so don’t miss out on this amazing special! As always, visit Breckenridge Discount Lodging to continue receiving the best rates on premium lodging in Breckenridge year-round. It’s Breck Bike Week this weekend! Grab your road, mountain or town cruiser and come to the mountains for an event filled weekend!